New York and New York City have taken a lot of flak in this blog – whether it’s a dispute about whether and where to move primaries to accommodate military and overseas voters, overheating voting machines or a bizarre reading of state election law regarding tallying – so I’m feeling the need to give the Empire State credit where credit is due. Recently, the State of New York announced that voters could now register or update their registration online, using the state’s MyDMV online service center. This announcement brings New York in line with the growing number of states (including Ohio) that are offering online voter registration to their eligible citizens. 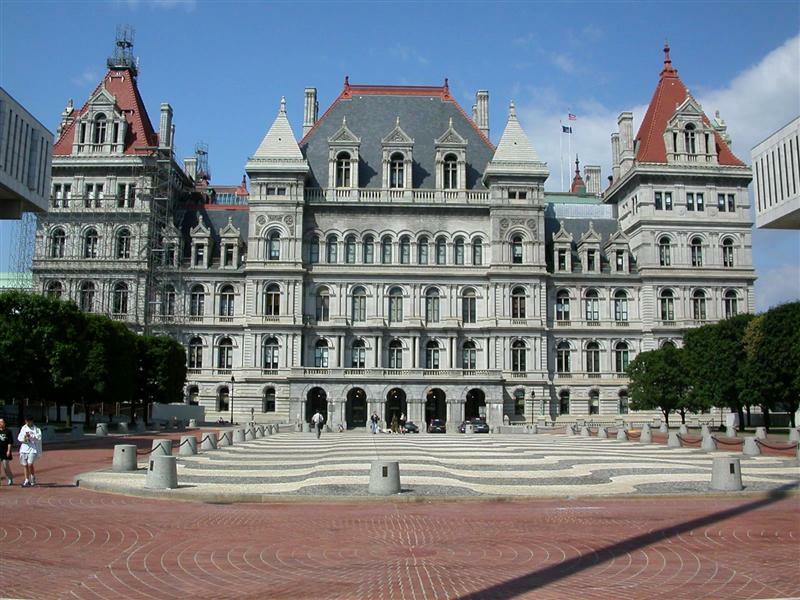 It’s also significant because New York has often trailed the field (badly) when it comes to election administration – whether implementing federal mandates or embracing new innovations in the field – and so the fact that Albany isn’t last is worthy of note. The other thing worth watching is demand for the new initiative. I’m pretty sure New York is the largest state so far to adopt voter registration (though reports suggest that California will soon follow suit) and so I’ll be looking to see how online registration and the rapidly approaching 2012 elections combine to produce new and updated registrations in the state. Initial reports put traffic at almost 3,500 in the first week or so. I’d expect this number to climb as the registration deadline approaches. So – a tip of the election geek cap to New York for being in the middle of the curve for a change! 2 Comments on "Not Last, At Last: Online Voter Registration Comes to New York"
There is something for everyone in this step to modernize voter registration. It saves money by reducing data entry costs. Registrations are more accurate, since typos are minimized. Most states that have this type of registration perform an instant check of the data, against the drivers license database. It is an easier way to deal with the last minute onslaught of registrations. And of course, it is more convenient for voters. By the way, your captchas are very hard to read. Is the DMV’s data good in NYS? If street spellings don’t match or zip codes are out of date, you might find a situation where the automated entry will not fall into an existing district (or, worse, accidentally put them in the wrong district, which may not be discovered for some time). In my state, people can get a driver’s license that uses a PO Box or a Mailboxes Etc, which should not be accepted as a voting address. Hopefully the systems were built to use the same core address database or at least designed to fail elegantly, allowing a live system operator to apply some judgement in the acceptance of new voters.